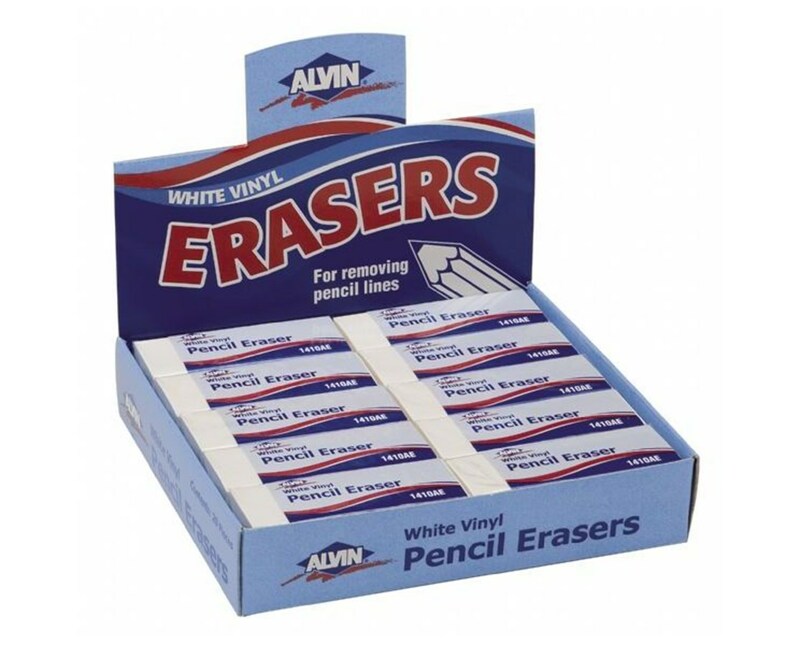 The Alvin White Vinyl Pencil Erasers – Box of 20 is ideal for different writing, drawing and drafting needs. It can remove graphite not only from paper but also from drafting vellums and films without any ghosting. 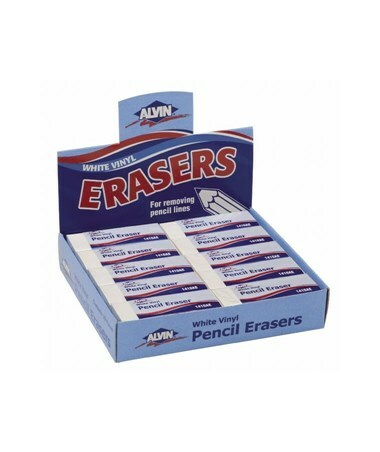 This 5"L x 4½"W x 4½"H package contains 20 individually packed white vinyl pencil erasers. 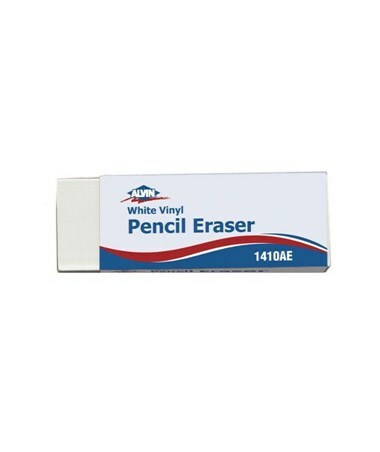 Each vinyl pencil eraser measures 2 3/8"L x 7/8"W x 1/2"H and comes with a protective sliding sleeve. Made from PVC material, it ensures maximum flexibility and durability. It is non-abrasive and self-cleaning as well. 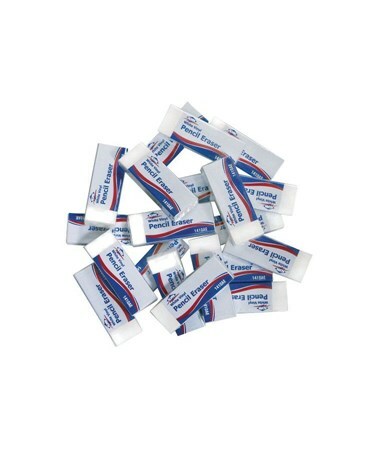 For user’s safety, it is phthalate and latex-free.